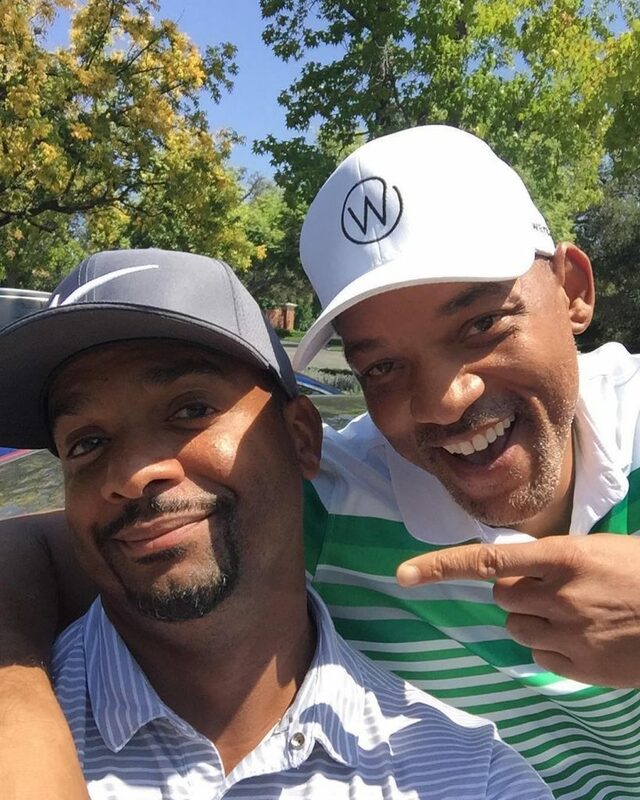 It is always nice to see The Fresh Prince Of Bel-Air cast together even after all these years. 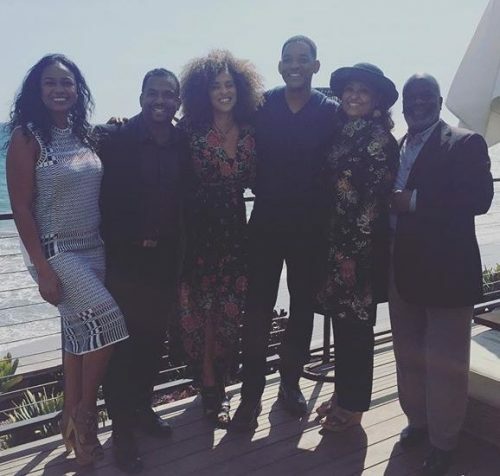 Alfonso Ribeiro posted the photo of himself with Will Smith, Tatyana Ali, Karyn Parson, Daphne Maxell and Joseph Marcela. They got together to benefit Karyn’s charity, Sweet Blackberry. The cast in 2011 at a charity event hosted by Karyn Parsons. James Avery has died at the age of 68 due to complications following open heart surgery. 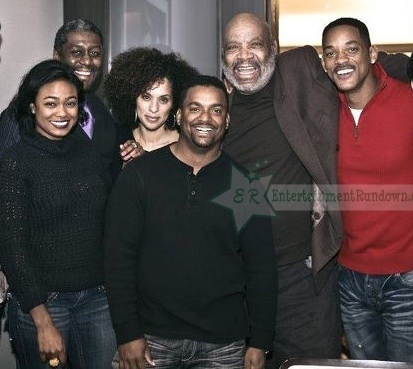 He forever became known as Uncle Phil, his Fresh Prince of Bel Air role, the sitcom starring Will Smith. TMZ reports he died in an L.A. hospital last night. He apparently took a turn for the worse after his wife, Barbara, left the hospital room for a short period of time and when she came back she learned he had just died. The couple married last year. Alfonso already has a daughter, Sienna, from his first marriage. 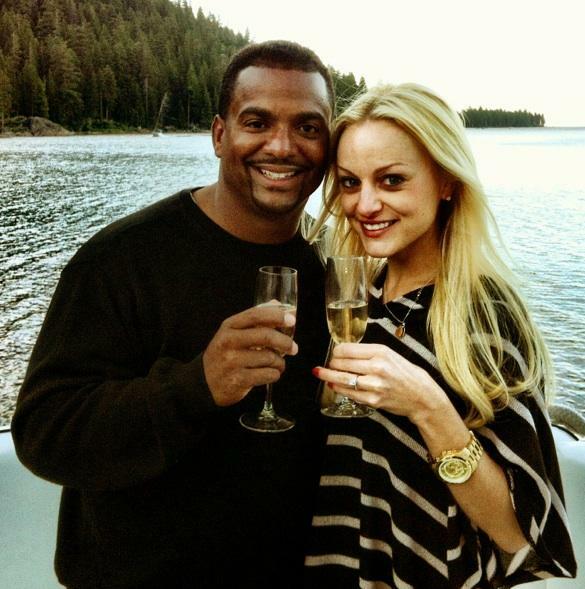 Alfonso Ribeiro and his wife Angela are expecting their first child together. Alfonso Tweeted the news saying: “Coming This Fall: A Baby Alfonso or A Baby Angela!” along with baby pictures of himself and his wife. The couple married last October. He is already father to Sienna, 9.